I’ve been collecting scrap metal for as long as I can remember. As a kid, my siblings and I would pick scrap metal from trash left out on garbage days. 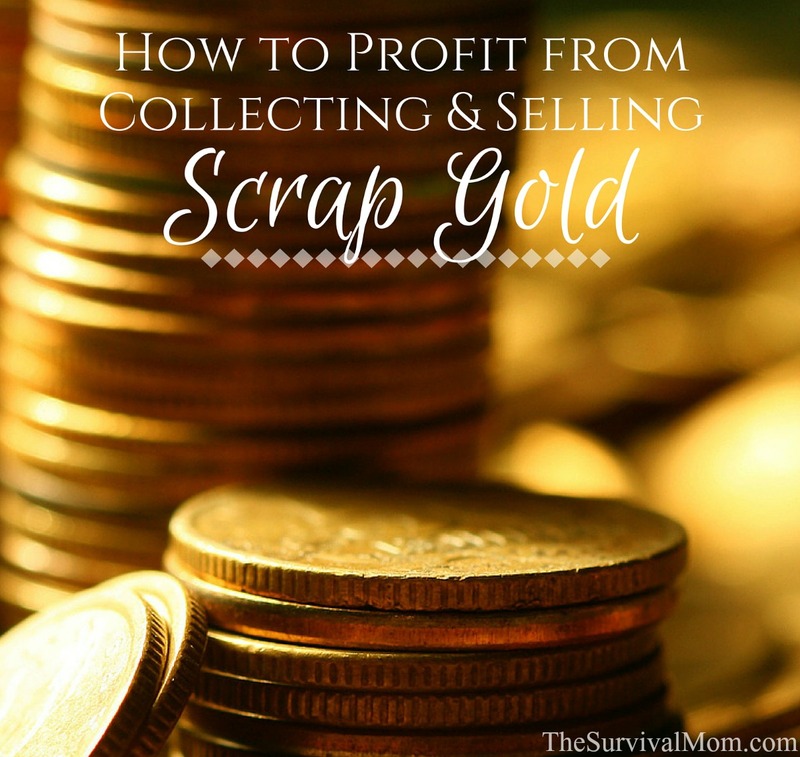 We would find copper wire, junk auto parts, pop cans – basically anything our dad could take us to sell at the scrap yard. It was labor intensive work for kids, but we were a lower middle income family that liked making something out of nothing. But, one day while I was walking home from school, I found a ring and took it home to show my dad. He thought it was gold and took it to get checked out. It turned out to be 14K gold and I got $20.00, a fortune for a kid in the 60’s! Even back then, I realized that was a lot of money for something so small, and I’d rather find something like that than look for aluminum or stainless steel. As a young adult in my twenties, I became apprenticed to a bench jeweler. There, I learned how to work with gold using my torch and jewelers tools. I practiced on rings that my boss had purchased as scrap. That way, if I screwed up, it wasn’t on a customer’s ring. Eventually, I got the hang of it. It takes time, patience, and lots of practice to reach a certain skill level. After several years, I decided to venture out on my own. My husband and I opened our own store, and I became the bench jeweler. My husband kept his day job at the airline while I ran the store. I enjoyed having a “real” career. It took a long time to build up inventory due to the price of gold. So, to help reduce the costs, we applied for a Pawnbrokers license, and got one. Now, I could buy used gold or loan money to a customer on their jewelry. It was actually good for my customers. If they needed money temporarily, they could get a collateral loan and come back within 90 days to pick it up. If they didn’t, it became my property. I also bought gold from people who didn’t need a loan, but just wanted to get rid of unwanted jewelry. I did this for many years until my husband got a new job at O’Hare Airport in Chicago. I began closing the store down and got ready for the move. Once, we moved, I worked for another jeweler for a few years, but decided I needed a change. So, I began taking classes at Purdue Calumet in Hammond, Indiana. I got my Associates Degree in 2004, and worked in Surgery, Dialysis and Prison Nursing. By 2015, I was getting burned out and started looking for a side job so I could just work in nursing part time. I wanted to start an online jewelry store and would stock it from finding good jewelry at resale shops, consignment stores, on Craigslist, and at garage sales. I started my Etsy store “Gold Is Wealth” in January 2015. I’d like to tell people how to find these bargains, even with little or no experience. This is to encourage those who need extra money, or need a little side job that is flexible. You don’t need a lot of money to begin, just a few simple tools. (There is some risk, but the rewards are great). Wherever I go, I always carry TWO things with me when I’m scrounging for gold bargains. I have a 10x loupe, and a magnet. That’s it. I got my loupe from Amazon for around $6.00 and I bought magnets 2 for $1.00 at Harbor Freight. The magnets are the size of a domino. A little later, I bought an acid test kit for $10.00 to determine if a metal was 10K, 14K, 18K, 22K or just junk. I also bought a gram scale online, too. Mine is pretty nice and it measures grams, pennyweights, ounces, pounds, and grains. It was about $100.00, but you can find them for much less. In Europe, they have 9K gold or 375 marked on their pieces. In the USA, it has to be at least 10K to be called “gold”. The European stamps also have tiny emblems within a square inside of a ring or on a pendant. I keep my loupe in my front pocket of my jeans, in case I need it. My magnet is in the opposite pocket. When I’m at a garage sale, looking at a piece of jewelry, these are some of the things I look for to determine if its genuine or fake. (The owner often doesn’t know and I don’t ask, because then they think it really might be something too valuable to sell). First, does it have a stamp anywhere? For a ring, it’s inside the band. On a chain, it’s on the oval or round “quality tag” next to the clasp. The clasp should also have a stamp on it. On a necklace, its usually on the “bail”, which is the loop connected to the pendant. But, I’ve also seen it stamped inside the back of the pendant. If you see a stamp that says 10K, 14K, 18K, that’s good. Usually. Remember, there are always exceptions to the rule. Gold manufactured outside the USA will say 417 for 10K, 585 for 15K, or 750 for 18K. The numbers just represents how many parts of gold per 1000 parts. So, 417 means 417 parts per thousand are gold, or 41.7%. The rest is alloy to “harden” the metal. The look of each Karat is different. 10K looks lightest, but can also darken and look brownish from oxidation. 14K is the medium gold tone most of us are used to seeing, but 18K looks yellowish, almost fake. 22K is distinctly yellow. Another way to distinguish real from fake is the magnet test. If the item sticks to your magnet, it’s not gold. Maybe gold plated, but it has another metal underneath. However, I have seen a fake clasp on a real gold chain. It does happen from time to time. Sometimes people don’t want to pay the price for a gold replacement once a clasp has broken. They will opt for a plated one. Once in a while, my magnet faintly sticks to a big clasp, like a lobster claw clasp. It has a metal spring inside of it which compresses & decompresses to open & close the clasp. Test the clasp and chain separately. I have seen a real gold clasp on a fake chain, when somebody was being deliberately deceptive. They get upset when I take the magnet out. Brass is a look-alike metal to gold, especially when it’s been highly polished. Brass won’t react to the magnet!! Be careful. I’ve seen a lot of fake gold rings at the flea market which are brass. They are even stamped 10K or 14K. If you want to take a chance, don’t spend more than a few bucks. After a few days, they turn a weird greenish brown color. They also tend to be stamped in weird places that genuine gold is not. For instance, a giant 14K stamp in the middle of a religious pendant, like the Virgin Mary. It’s too obvious. It should be small and on the back. Feel the weight of a piece. Heft it in your hand. Gold is more dense than other metals. The higher the Karat, the more dense it is. 18K is really heavy. Toss it up and down a few times, then try tossing another metal. You can feel the difference. Just remember, all these little things together can give you clues as to what you are looking at. Another thing is that fake gold is shiny and flashy. Genuine gold rarely is. It’s been worn, and has a dull gold look to it. I will look at that piece under my loupe and look at scratches on the metal. Does it still look gold under the scratches or gouges? Good. Check the prongs on a ring. Are the prongs a different color than the rest of the ring? It could be plating that has worn off, after all it’s the spot that gets the most wear. Are the stones “glued in” with no prongs holding the stones? Bad. (Unless, it is bezel set, where a rim of gold is surrounding the stone). Look for GREEN spots anywhere on the piece of jewelry. It indicates gold plated jewelry that has reacted with moisture. I find it especially at clasps, tabs on a chain, inside a ring where skin acids have worn away plating, or anywhere it gets a lot of friction, as in between links of a chain. When in doubt, its better to pass on it. However, if its only a buck or two, you might want to take the chance. If someone is really pushing you to buy it, be wary. Most of my best finds have been under $10.00 for gold jewelry. If you can’t afford to lose it, don’t spend it. Now, when you have some pieces that you think are gold, go to a reputable jeweler to verify what you have. Sometimes they will offer to buy it for half of what it’s worth, but you can sell it to the same smelter they are and cut out the middle man. Just get a quote from the jeweler and do some research at home. There are places online to sell gold, but prices are all over the board. Some won’t tell you the gram price until they see it first, then will give you a quote. One place I like to deal with is Goldmastersusa.com. The site is easy to navigate. 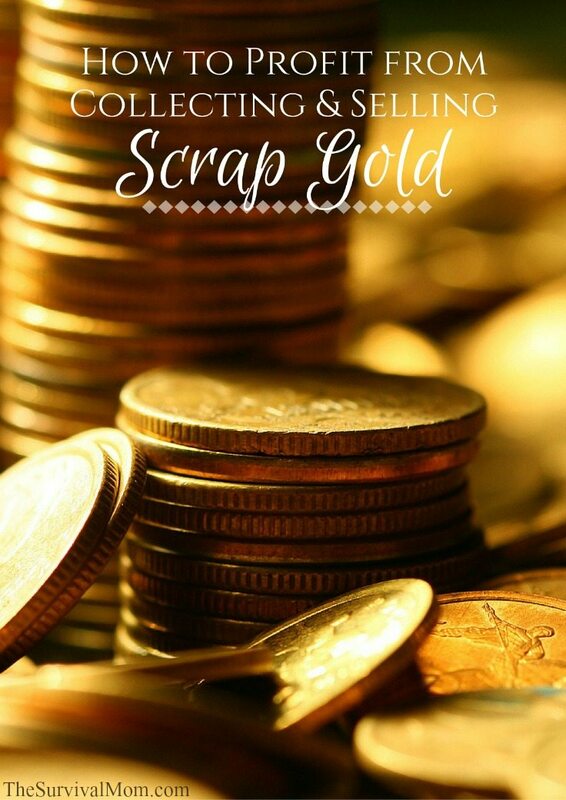 Just click on “Selling scrap gold”. Then you click on what type of gold you have, such as 10K or 14K. You get different prices per gram because they are different percentages of gold. It also shows you right up front, how much per gram you are getting. Type in how many grams you have and voila!!! You get an instant price for your gold. Once you hit “Accept”, you need to get an email with a confirmation number for your transaction. That number goes into the mailing package with your gold. It needs to be mailed in 24 hours, as the price of gold can go up or down quickly. After a few times, you’ll get the hang of it. Make sure you insure it for the full amount, just in case it gets lost in the mail. I hope you have found this helpful, and I wish you all Happy Hunting, and may the odds be ever in your favor! It is pretty impressive how much you work to find the real jewelry at yard sales etc. I honestly think it is great and may have to try to follow in your footsteps. Gold is valuable and since it has been valuable ever since the dawn of time I think it is one of the best investments you can have. Especially if you know, like you do, how to get and sell it. Thank you! I just found a 14K 12.5 gram vintage Pearl Brooch for a dollar! with how gold has spiked recently, it’s a great investment. I really enjoyed reading about you thank you for the information. Do you do any work with scrap gold fr computors or cell phones I’m looking for info. You are an inspiration. Thanks for the extensive guide on how to spot real gold jewelry and determine it’s worth. My grandma gave me a bunch of her old jewelry, and some of it looks pretty nice, if not outdated. I’ll have to pick up a loupe and a magnet like you did so I can determine if it is worth it to sell any of my grandma’s old stuff. It would be nice to make a little extra cash for the holidays if I can find a gold buyer.